Smilefest New Artists Announcement! Jeb and Tara Duo added! Mountain Roots Management is proud to bring another Smilefest Reunion to the musical family of Smilefest supporters past and present. The 2011 event promises to be something special! Smilefest Reunion 2011 is scheduled to take place June 3-5, 2011 at Jomeokee Campground in Pinnacle, NC. This private, invitation only event offers 2 stages, acoustic late night jams, VIP packages, RV and Vehicle Camping passes, and capped ticket sales at 1499 patrons. Smilefest Reunion 2011 promises to be a treat to all the Smile Folk that attend, guaranteeing an intimate experience between patrons, artists and festival. Nestled below Pilot Mountain, the 100 acre plot has plenty of covered and open camping, rolling hills, scenic mountains and a near perfect amphitheatre which hosts the side-by-side stages. Smilefest is very excited to announce their 2nd and final round of Artist Additions to the Smilefest Reunion 2011. With so much amazing music rooted in the history of this event, a lot of hard work has gone into bringing the utmost in talent old and new. Smilefest is very excited to have added to our Sunday closing a special duo set from Jeb and Tara (of Donna and the Buffalo). Others performing over the weekend include: Railroad Earth, JJ Grey and Mofro, Karl Denson’s Tiny Universe, Larry Keel and Natural Bridge, Danny Barnes and more! The dynamic songwriting tandem of Americana Roots vocalists Jeb Puryear and Tara Nevins have penned over 150 songs in their collaboration with DTB and have many more in the making. Their set at Smilefest is a special duo set which is always enjoyable for their fans to hear their favorite DtB songs in stripped down arrangements. This May, Nevins is also releasing a 2nd solo album Wood and Stone which showcases her ever-evolving repertoire as she journeys both back to her own “roots” and head-long into new territory. The album was produced by Larry Campbell with guests including Levon Helm, Jim Lauderdale, Allison Moorer, Teresa Williams and more and will be put out through Sugar Hill Records. In 2008, Puryear released a solo album, Hopes and Dreams, through GrassRoots Festival Records. Donna the Buffalo’s 2008 release Silverlined, on Sugar Hill Records, rose to #8 on the Americana Music Chart and the full band is in studio this spring working on their next album with John Keane in Athens, GA.
Smilefest Reunion May 21-23rd, 2010! I am super excited about the upcoming Smilefest Reunion in Pinnacle, NC. Not only is one of my all-time favorite festivals getting ressurected this spring, my favorite bands are playing, and all my friends will be there; but it is also my birthday weekend! Come on out and help me celebrate!!! “We are extremely excited to be announce the return of one of our favorite NC festivals, Smilefest 2010! After taking a 3 year hiatus, one of the best festivals in the southeast is back…with a twist. Smilefest is a PRIVATE, INVITATION ONLY event this year. ALL TICKETS MUST BE PURCHASED IN ADVANCE! Because you are friends with Erin and Dreamspider Publicity, we would like to extend a special invitation to you to join us at Smilefest 2010. Come and help celebrate Erin’s birthday weekend. 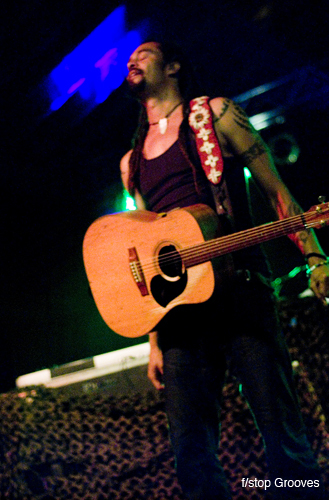 If you purchase your tickets before 4/23/10 you will be entered to win a special VIP package which will include a meet and greet, autograph session with Michael Franti. How to get tickets: Go to the website and click on ticket link. Password to purchase ticket is “vassar”. OR send an email to smileagain4@gmail.com and request an invitation to Smilefest. Be sure to mention that you were invited by us. Confirmed Artists: Michael Franti and Spearhead, Keller Williams and The Keels, Acoustic Syndicate, Pimps of Joytime, Cornmeal, MaGraw Gap, Josh Phillips Folk Festival, Shane Pruitt and many more. Check the website for a list of all artists. Hope to see you all at Smilefest in May!